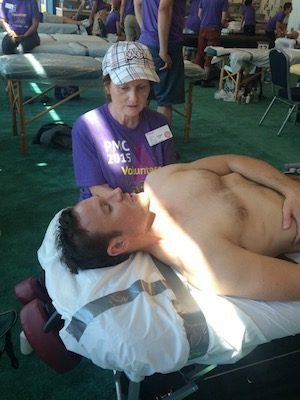 Volunteer for the Pan Mass Challenge! 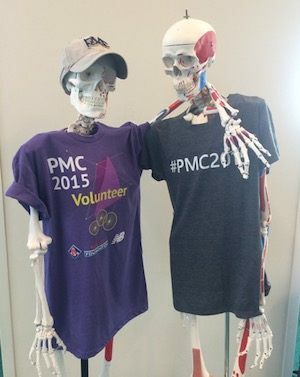 WHY: The spirit of the PMC lives as much in the volunteers as it does in the riders. You will hear stories about who they love, ride for, and who they have lost to cancer. You will also meet riders biking 100+ miles with cancer diagnoses or who have survived cancer and want to give back. 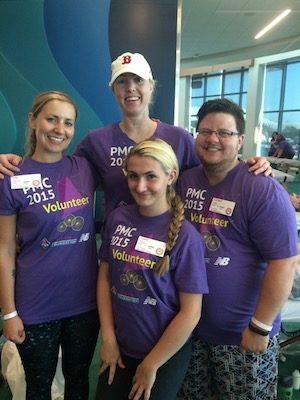 You will work with people from all over the country who come to participate in the nation’s largest fund raising event for cancer (the PMC channels 100% of every rider-raised dollar directly to the Jimmy Fund). I only hope you will feel as humbled and as inspired as I have every year. This event will stay in your heart forever. FOOD & AC: You will be well fed and nourished throughout the day in air conditioning! 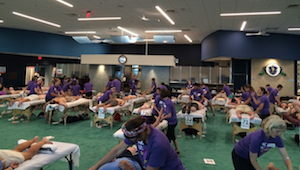 SUPPLIES & TABLES: PMC provides all massage and cleaning supplies for you, however tables are needed! 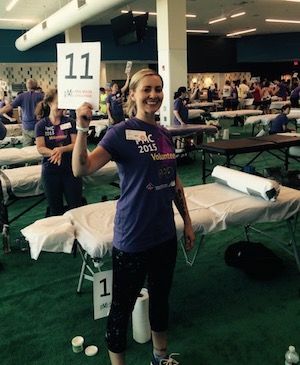 If you don't have one, you will be paired with a volunteer who does.